Born at December 30, 1982, Dan resumed his musical studies as a guitar student when he was 10 years of age. At 1995 he was accepted to the Rubin School of music and dance majoring in guitar playing. During Dan's first years at the Rubin Academy junior high school he started playing the tenor Saxophone alongside the guitar. As a saxophone player he played in many ensembles (of classical and jazz music) and participated in many concerts in Israel and abroad (including the "Jerusalem saxophone quartet" that played concerts in most of the important concert halls in Israel, and traveled to perform in England, France and Russia). At the year of 2001 Dan graduated the Rubin academy's high school of music with honors. At 2003 Dan began his undergraduate studies majoring in composition and comparative literature at the Tel-Aviv University. There he studied composition under the late Prof. Joseph Dorfman. A year later Dan continued his composition and literature studies at the Rubin music academy and the Hebrew University in Jerusalem. At 2007 Dan graduated his B.A. (composition and comparative literature), and at 2008 he graduated with honors his M.Mus. All of these years Dan studied composition under the guidance of Dr. Ari Ben-Shabtai. 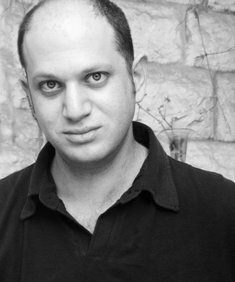 As a composer and arranger Dan participated in many important festivals and venues in Israel and abroad, among them is the International music competition held in Greece, the annual Israeli music Celebration (at 2008 and 2010), "Tzililim ba Midbar" (sounds in the desert) festival (at 2009). In addition to that Dan wrote to the Jerusalem symphony orchestra, the Israel Sinfonietta Beer Sheva, and the "Meitar" ensemble.